The Lake Hotel Killarney is a charming, friendly family-run 4 star hotel superbly located looking out on the world famous Lakes of Killarney. 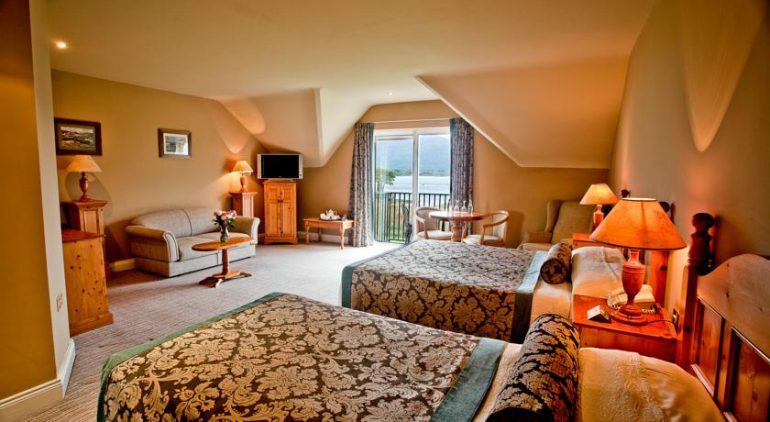 Arguably the best located hotel in Killarney, the extensive grounds are are in woodland on the shores of Loch Lein, making it a wonderful location for a quiet holiday. 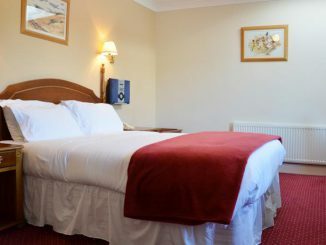 Built in 1820, The Killarney Lake Hotel combines a unique old world charm with all top standard modern day facilities. 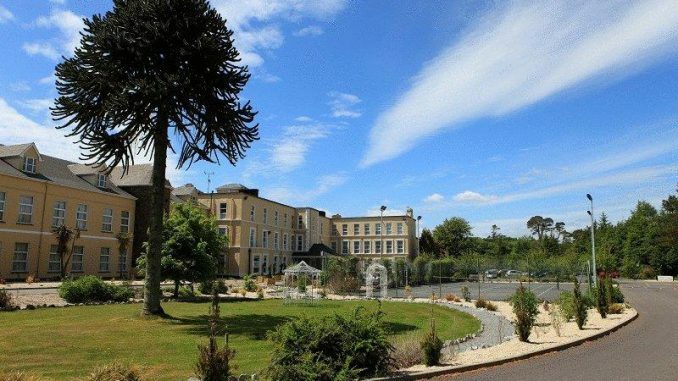 The Hotel is located just 2 kilometer’s from Killarney town center, right on the edge of Killarney National Park, Golf Courses, Cycle paths, walking Trails, Horseriding, Mountain Climbing, Fishing and many other local activities. 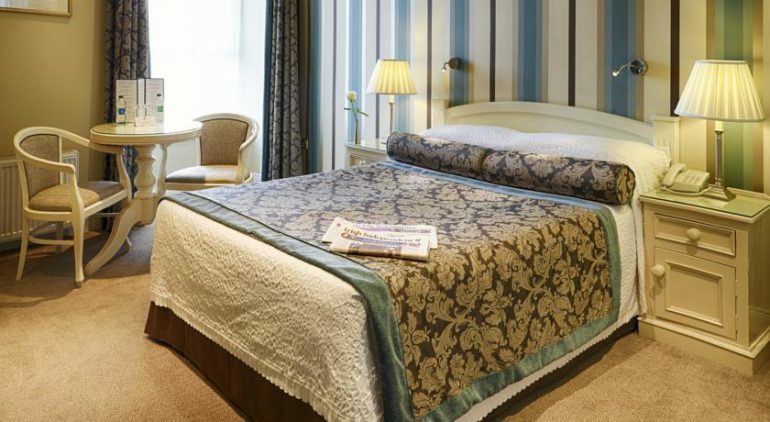 This Killarney hotel has 131 bedrooms including Twin, Double, Superior and Triple rooms. All rooms have baths and shower. 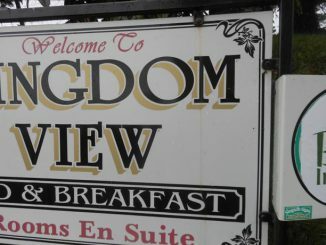 They also have satellite TV, hair dryers and many of the rooms have lake views, some have woodland views and some have balconies. Some of the rooms have have a queen bed and a single bed suitable for families. 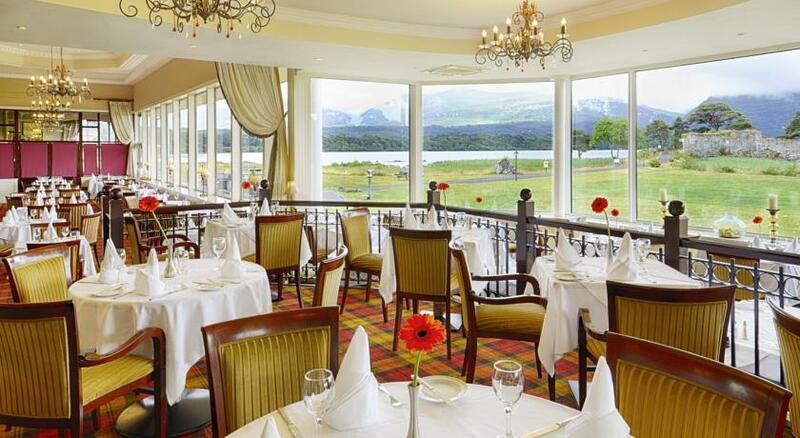 There are many dining options at The Lake hotel. 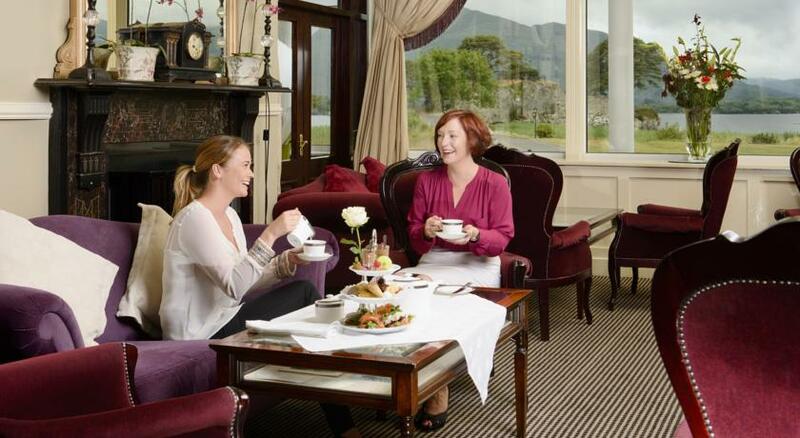 The Piano Lounge, Lough Lein Room, Lakeside Bistro, Resident’s Lounge or Devils Punch Bowl Bar and the Castlelough Restaurant offer guests a wide choice whether it is coffee, afternoon tea, lunch or an evening meal. 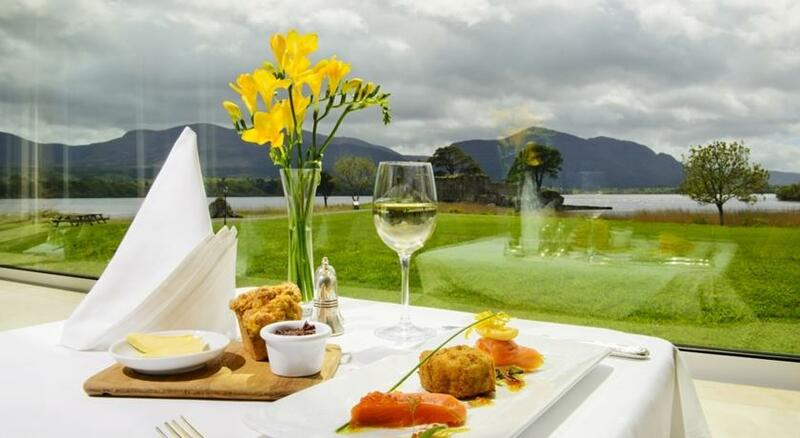 The menu at the Castlelough Restaurant has a wide range of sumptuous dishes using local meats fish and vegetables prepared with a modern twist. Need a Reason to Visit Kerry Ireland in 2019? 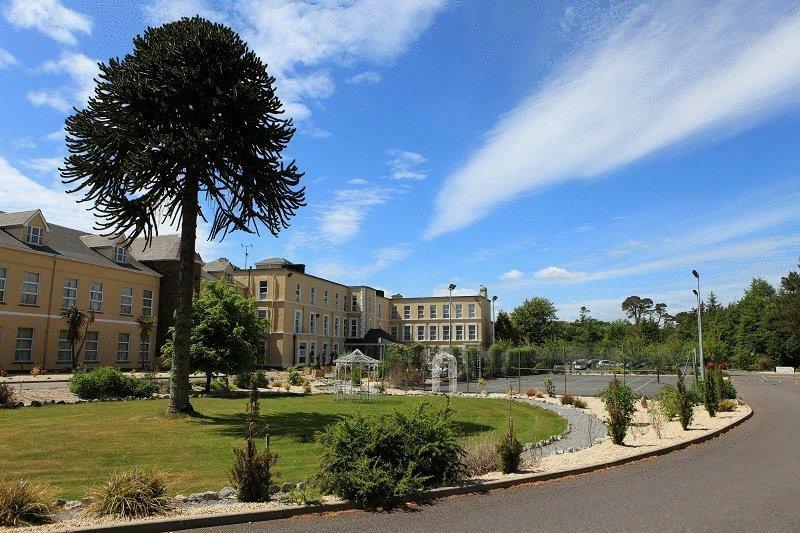 Will Tralee Town Park Get a Green Flag? 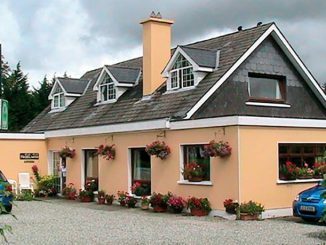 Who is Stay in Kerry?